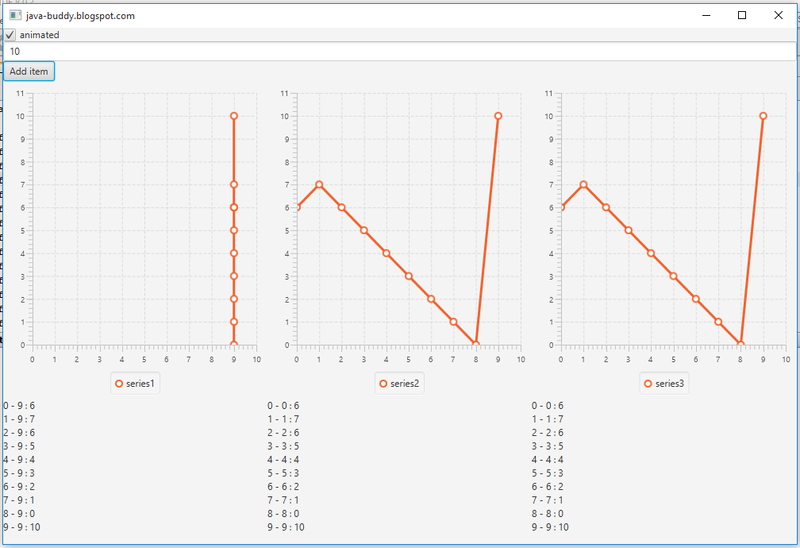 Java-Buddy: Add data to JavaFX LineChart, and shift out the oldest data. 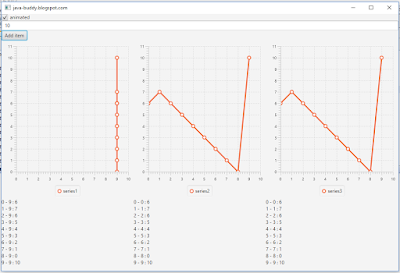 Add data to JavaFX LineChart, and shift out the oldest data. JavaFX example to update LineChart: user enter new data to the LineChart associated series, and remove the oldest item from the series. I tried three approachs to achieve the goal. The first one is obviously wrong. Check the code to know my implement. //Remove the first item, and add the new item - WRONG result!